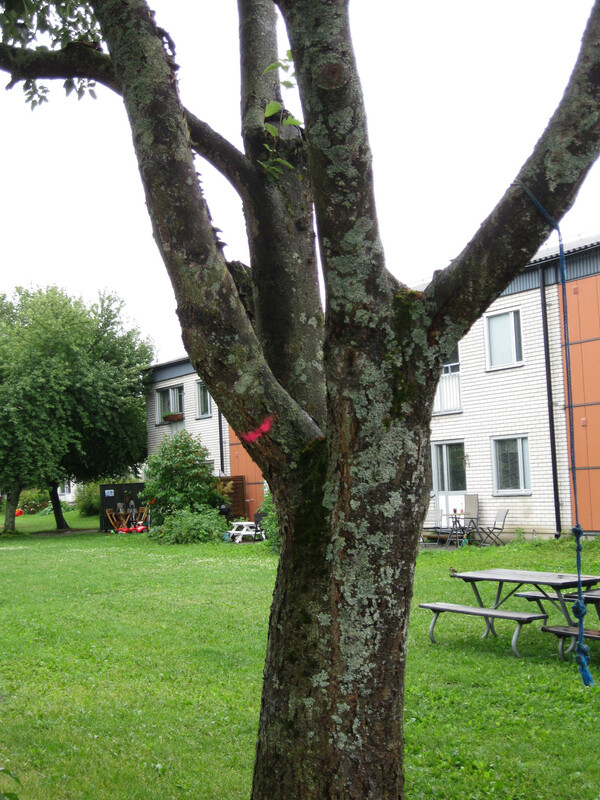 After a walk and talk with us Studentstaden have decided to cut down a couple of trees. The selected trees are either sick, damaged or stand too close to a building. One tree will not be felled but a sick branch will be sawed off. Over a couple of years more trees will be either pruned or cut down and replaced. The landlord have hired Mikael Hägg Entreprenad AB to do the work. Maud Roth is responsible for the project at Studentstaden.